You will earn 17 points which is the equivalent of £0.17. 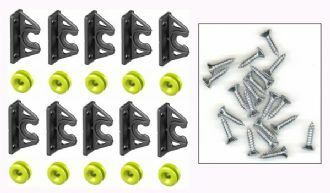 This kit of fixings allows you to fit your bath panel quick and easily. We have put together a durable set of fixings and Marine Grade Screws that will allow you to fit your panel without unsightly screw holes to the front of the panel and also allows you to remove the panel afterwards if you need access to under the bath. We only use Marine grade screws as these will never rust allowing ease of use and re-use, Perfect for a moisure rich enviroment such as bathrooms and toilets. This kit allows panels to be firmly attached to the floor, wall battons and frames, as well as other panels. 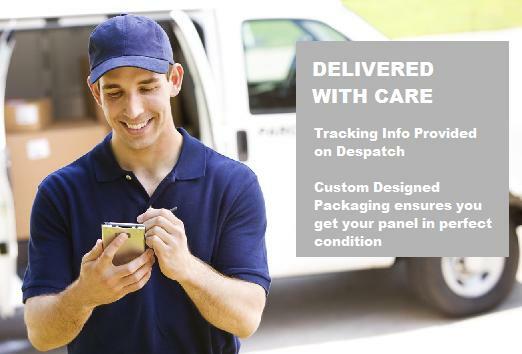 All fittings are hidden behind the panel once fitted, panel can also be easily removed and reinstalled for easy maintenance. Please note this is not a pre order item and is usually dispatched 1st class post within 24-48hrs from order. Bath Panel Easy Fit and Remove Kit. The original and most comprehensive kit available in the UK. What a great idea, this kit saved me hours and has left the panel looking perfect. Will use every time now. Simple idea yet brilliant. Will finish off my Bathroom a treat and no ugly screw holes. Best part is it will be easy to get the panel off if need be! After searching for a fitting guide for my bath panel i found this, i read other reviews and decided to take a chance and see if it was as good as people had said and i have to say it really is. 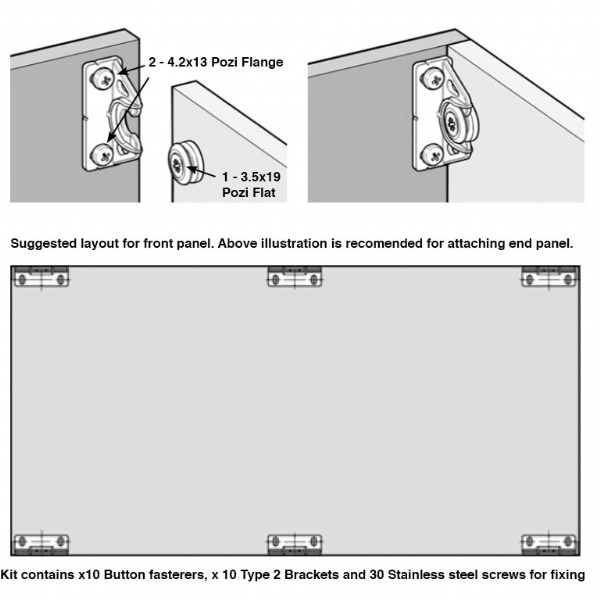 i would recommend if your panel is large say 1800 like mine to use 9 fixings, 3 each end and 3 in the middle. I had been messing around trying to do a neat bath panel with no visible fixings and I came across these. They do the job perfectly, and as I found I only needed six to do a solid job, I have used the rest for another removeable panel above the toilet. In fact they are useful for all sorts. 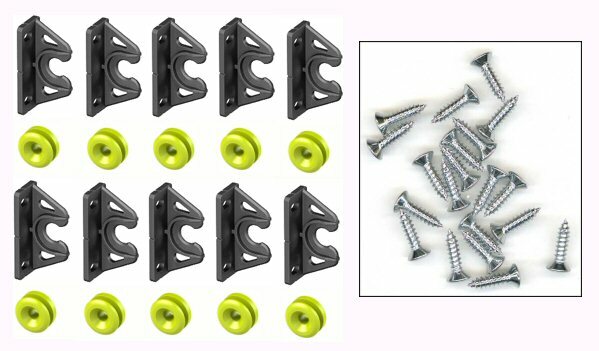 Have now purchased several sets of these but not for a bath panel, used these on my Yacht for storage panels which are fantastic, easy to use and most importantly come complete with sets of stainless steel screws perfect for a yacht (and bathroom) if anyone has ever purchased small quantities of stainless steel screws they will see the true value of this set combined with the perfect fitting brackets super value for money. 10/10. David.